In the dead of winter, the desire to get outside can be tempered by sub-zero temperatures and the lure of a cozy couch. But there’s no better cure for stoking your adrenaline and getting after it—no matter how chilly it is—than being inspired by others doing just that. To that end, here are our picks for 10 gripping, critically acclaimed outdoor documentaries that each tell a remarkable story about the outdoors and the adventurers, athletes, and environmental icons who run, climb, race, and row their way to glory (most can be streamed on Amazon, Netflix, or Hulu). Grab the popcorn and get ready to get inspired (and then outside). 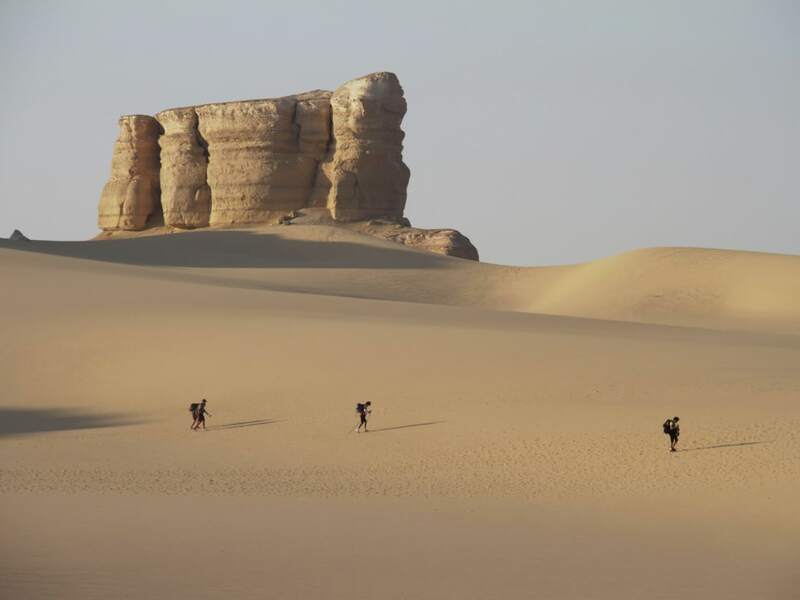 Desert Runners, which was released in 2013, follows a group of amateur runners as they attempt to complete the 4 Deserts race series, one of the most difficult endurance series in the world, in one year. 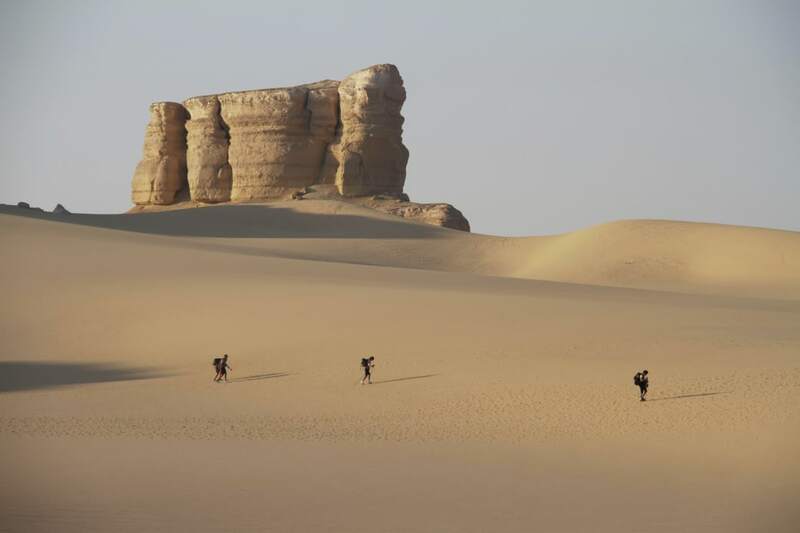 The races take place over the course of 155 grueling miles in the Gobi, Sahara, and Atacama deserts, with the final race in Antarctica. Runners compete over the course of several consecutive days, sleeping at designated camps and slogging on the next day. You’ll have a newfound appreciation for gear like gaiters that keep sand out of shoes and feel intensely connected to the featured runners. Wild mustangs have become a political and social symbol of land management in the American West. To call attention to their treatment and management, as well as the future of the public lands where they roam, four college buddies adopted and trained 16 wild mustangs from a BLM adoption program, before packing them across 3,000 miles of public land from Mexico to Canada. Their ambitious quest is documented in this compelling 2015 film which is beautifully filmed across stunning landscapes and highlights the important narrative of how government is working to manage wild horse populations, shrinking public lands, and seasonal livestock grazing. Patagonia founder Yvonne Chouinard has been a prominent figure in the outdoor industry since the company’s inception and is seeing renewed relevance with his public disapproval of today’s political climate. Which makes it an excellent time to revisit this 2010 film, which follows adventurer Jeff Johnson as he retraces the 1968 journey to Patagonia of Chouinard and conservationist and outdoorsman Doug Tompkins. Chouinard’s tale is told through scenes of his initial inspiration, and the environmental story is more relevant than ever. More than the history of a company and entrepreneur, the film weaves modern-day adventure with Chouinard’s rise to become a prolific and important environmental advocate. By the time she was 16, Dutch high school student Laura Dekker had become the youngest person to sail around the world alone, completing the journey over the course of 17 months. The feat is mindboggling, but the real joy is watching Dekker’s transformation—a time-lapse coming-of-age on a 38-foot boat. The 2013 film also covers the drama unfolding in her native Netherlands as the media labeled her delusional, and the government took partial custody in an attempt to prevent the trip. Valley Uprising, which was released in 2014, spans the 60-year history of climbing in Yosemite. Anyone familiar with the history of climbing will love seeing icons like Royal Robbins, Lynn Hill, Alex Honnold, Dean Potter, and the other colorful characters who pioneered the scaling of Yosemite’s big walls, and then took it to the next level. The film focuses on the three generations of counter-culture outdoorsmen who set up camp in the Valley and, much to the dismay of law enforcement, transformed the big wall landscape into what it is today. World-famous photographer Jimmy Chin’s compelling film, which won the coveted U.S. Documentary Audience Award at the 2015 Sundance Film Festival, tells the story of climbers Conrad Anker, Renan Ozturk, and Chin as the trio attempts the first ascent of Meru’s notorious “Shark’s Fin.” After a failed attempt in 2008, the three men are determined to return and conquer this peak, and the film delves into the near obsession the world’s most elite mountaineers face as they tackle these death-defying expeditions. Starting out as a backwoods run loosely based on the 1977 escape of James Earl Ray from a state penitentiary, this now-famous race fills its 40 slots within a day of registration opening. Boasting only 20 finishers in the first 25 years, the race consists of five loops totaling (supposedly) 100 miles through the woods of Pennsylvania. The course is so challenging that racers are given a 60-hour deadline, and each loop has more than 10,000 feet of elevation gain. The documentary, which came out in 2015, is a hysterical peek into the grueling absurdity of the race and the dedication of the joyfully suffering runners. Released in 2014, Finding Traction follows this ultrarunner as she sets out to break the speed record on Vermont’s 273-mile Long Trail. The effort is grueling to watch as the cameras capture the highs and lows of this extreme endurance undertaking. The Long Trail is brutal at any pace, with exposed peaks, roots and boulders strewn across the trail, and sections so steep they require ladders. Kimball is an inspiration, as are her efforts to help women assume their equal place in professional sports across the board. Think surfing was limited to coasts lined with palm trees and warm sandy beaches? This 2017 film follows six intrepid (insane?) surfers as they travel to the northern coast of Iceland in the middle of winter in search of perfect waves. This region sees only three hours of daylight during the winter months, which would make for enough of a story, until the worst storm in 25 years hits and turns their excursion life-threatening. In 2016, Karl Meltzer broke the supported Appalachian Trail speed record after making it from Maine to Georgia on foot in under 46 days. This 2017 documentary follows Meltzer on his 2,189-mile journey, and he’s a real kick to watch. A superb athlete who doesn’t take himself too seriously, Meltzer is entertaining and self-deprecating—and falls down a lot. Red Bull, which produced this film, did a phenomenal job telling the story of this personable, quirky, and altogether astounding athlete from start to finish.